Love them or hate them, but comedians nowadays try really hard to be good in all types of roles, including drama. Take James Franco for instance – he has some seriously lacking roles out there because, like Will Ferrell, he just doesn’t care and wants to have a good time. At the same time, a few winning performances leak through the crack that remind you on just how good of an actor he is – or others like him. True Story, for example is a movie starring James Franco and Jonah Hill in double the drama, but double the surprise – because this movie is pretty good. 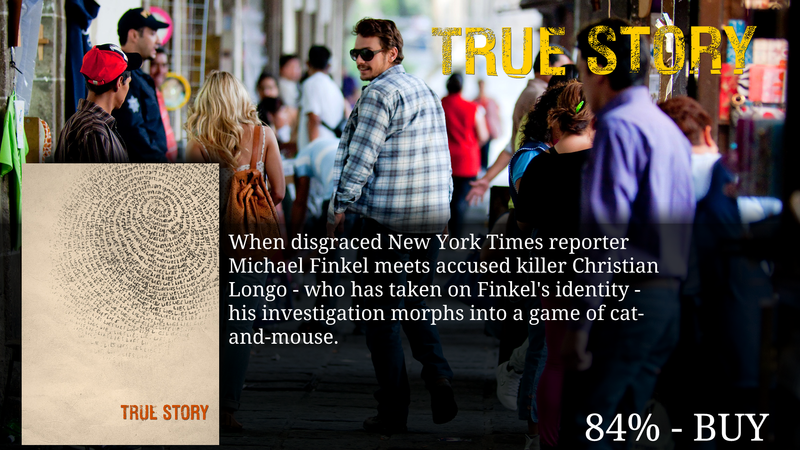 Okay, so True Story is ultimately about a New York Times journalist, Mike Finkel. Now Mike is a really a really well-known journalist – that is, until he’s fired for getting one main detail wrong. Now his identity is being stolen by someone accused of murdering his whole family. So what do you know – a new story is being written about this guys incredible tale, but did the guy take his name out of flattery, or is that a signal that he’s just a liar? Only time can tell, and because this actually is a true story, you can go ahead and read it. But for argument’s sake, let’s just say you don’t. I wasn’t sure before seeing this if I’d even like it. I’m not usually fond of true stories, and I’m even more questionable when it comes to comedic actors doing drama…you just never know. You know? I have to say though, James Franco did an absolutely wonderful job portraying Chris Longo – I was almost…ALMOST blown away. My personal favorite role of his was in 127 Hours, and I can easily add this as a close second. I can’t really say why, but there is a reason. Jonah Hill on the other hand…not sure. He tries very hard, and does a great job, but you know Jonah’s voice is born for comedy, and it’s hard to take him serious at times. I have to say though, it’s not a huge problem. Not at all. These two had some crazy good chemistry and contributed rather well to this mysterious plot. This is a mystery I can get behind, especially because it’s a true story. What’s so interesting about true stories is – you know they’re true more so if the mystery is unpredictable – which this film is. It’s depressing to say most mysteries are predictable, but in a way – that’s true. We are running out of ideas. 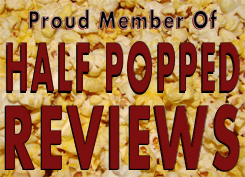 This film keeps you on the edge of your seat and most importantly, keeps you guessing. To make this movie just a little more entertaining, I’d suggest to future viewers not to look up the story behind the film. Going into any movie with a blind eye makes everything just a little better off. I’ll say this, True Story is a great movie that is equel in parts with its drama, suspense, and mystery. The acting that both Jonah Hill and James Franco present are both wonderful and unforgetable. This really is a true story, and it’s one of the few I like. I can’t really think of many problems this film faced…it did almost everything right. Apart from some few minor faults here and there, I guess my only problem would lie in Jonah Hill…his voice is still a little off-putting in the world of drama…he still sounds funny and like a comedian. His performance was wonderful, his voice…can’t do anything about that. I felt like, while the story itself was unpredictable, the film fell into a very humdrum and predictable pattern with the repeated interrogation scenes in the jail. It seemed like they were always shot in the same way with very little variation to make them exciting.